The web site Isola Illyon recently published an interview about my early years at TSR and how they compare with being an indie publisher today. I posted the first paragraph here. Click the link at the end of this post to follow the remainder of the article. Tell us your story: how did you become lead designer and product manager for BECMI and Mystara products, and what did you do after TSR’s bankruptcy? The folks at GeekLine 415 kindly invited me to join them on a podcast last night, February 10th. Many thanks to Chad and his crew for this and the fun hour on the phone with them. I can imagine what joy it is to be gaming with such a happy bunch. They reminded me of my D&D group back in France, in the early 80s. What a flashback! 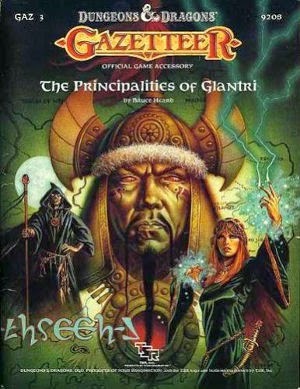 The topics covered the years leading up to my move to TSR and my time there, fun bits about Mystara and the Gazetteers, and the connection with Calidar. All of this was sprinkled with jokes about obscure or underused monsters as an ongoing theme. What fun! I listened to the interview a second time, this morning, and attempted to identify the various subjects. I'll add a few comments below. 04:12 My turn comes up for my choice of monster. I pick the thoul and give some background about when it came about in the D&D game. Who did design the thoul anyway? 07:48 Here I explain that I'd started out as a diehard 1st Edition AD&D gamer, until I was hired by TSR and had to master the Basic D&D game line. It was a bit of shock and a disappointment, but in hindsight I have no regrets! It sounds like I am a 1st Edtn. player currently, though I am certainly more so than any of the later versions, I'm even more of a BECMI fan, which I didn't make clear in the podcast. The Ides of March. . . almost! Two events will focus on Calidar during the popular game convention, Gary Con VII, coming up in March 2015. A third event follows, unveiling what lies behind creating a universe like Calidar. The World of Calidar Seminar: Bruce Heard presents his new game world, Calidar "In Stranger Skies", in a two-part seminar. The first section includes a live reading to set the event's tone. An introduction to the World of Calidar follows, defining its heroes, main features, and uniqueness. Though it isn't designed for a specific rules system, Calidar is a fantasy setting for use with leading role playing games. 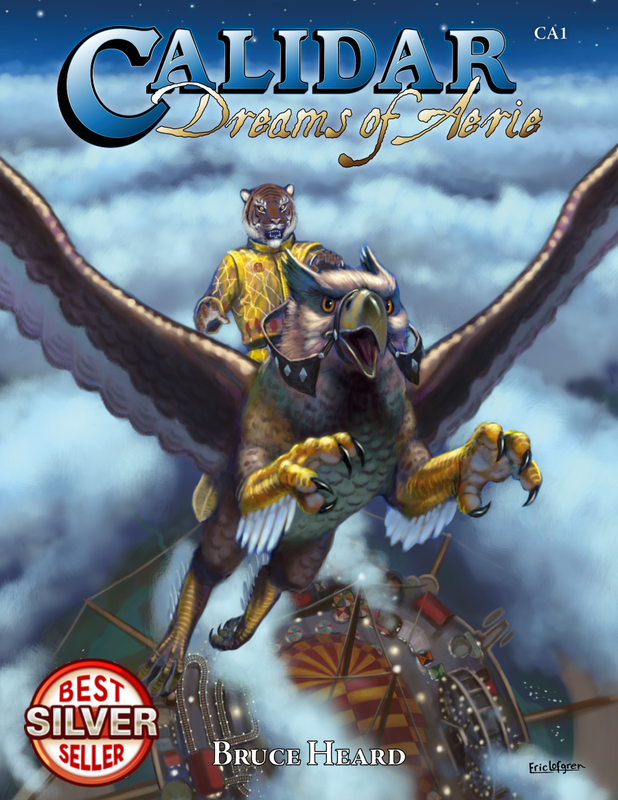 It is the direct heir to the popular "Voyages of the Princess Ark" stories published in Dragon Magazine in the 80s and 90s, focusing on skyships, world-traveling, and space-borne adventures. Previews will be included about the current project's direction and contents. Questions are welcome from the audience, including those from present Calidar users. Saturday 10am (2 hours). Calidar Adventure: "Eyes in the Dark" is a D&D adventure for characters level 4 to 5. 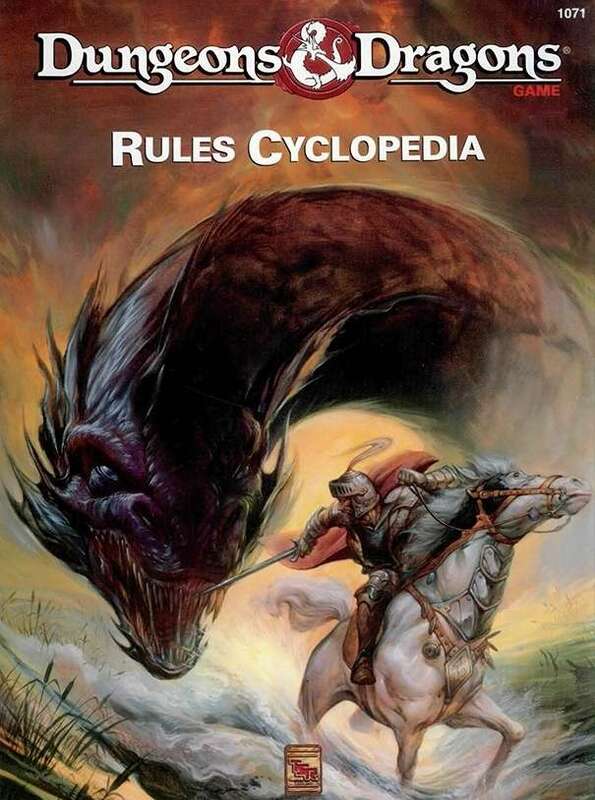 Rules in use are the D&D Expert Set (Blue Box) or the Rules Cyclopedia hard cover. Pregenerated characters are provided. Set in the World of Calidar (see related seminar, Saturday), this OSR-style adventure starts in the rainforest of Meryath. Friday 10am (5 hours). You are senior students at Glorathon's Dragon Slayers Guild, sent to investigate a suspicious event in the tribal lands, as part of your mid-term tests. Rumor has it that a dragonship, vessel of the hated Draconic knights, landed in the foothills of the Matai-Nui. You are to unveil why they came and, if possible, to thwart any of their schemes. At the very least, return to the guild with vital information if you cannot defeat the enemy. Dark is the jungle. Darker yet is the dungeon. World Building Seminar: Bruce Heard, best known for his mastery of world building learned from developing TSR's popular Mystara campaign setting, presents a seminar detailing the steps taken to create a new universe, such as Calidar and other universes. This seminar is intended for game referees challenged with the daunting task of creating exciting yet credible fictional worlds, as well as professional game designers and fantasy fiction writers in general. Related questions are welcome. Thursday 6pm (2 hours). Gary Con is a convention honoring the memory of Gary Gygax in what he would appreciate the most: having fun and good humor. Gary Con focuses on hobby gaming, including boardgames, roleplaying games, tabletop miniatures games, and seminars related to game play, game design, industry trends, etc. The convention runs from Thursday morning, March 25 to Sunday 6pm, March 29 at the Geneva Ridge Resort, W4240 State Road 50, Lake Geneva, Wisconsin 53147 (Phone: (262) 249-3800).